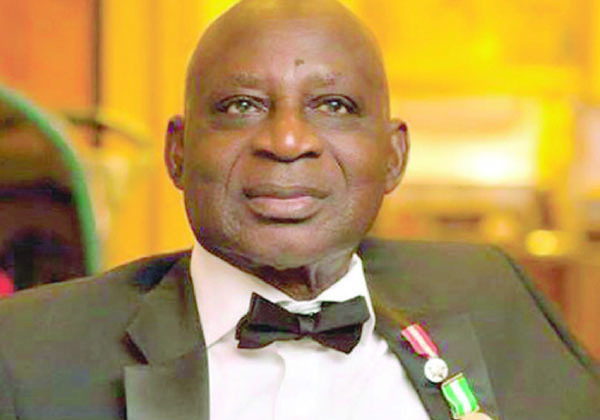 Outspoken Afenifere chieftain, Senator Femi Okurounmu has accused INEC of working against southern interests in the recent presidential election. He also accused APC leader, Bola Ahmed Tinubu of using his personal interest to endanger the lives of other Yoruba people across the country. He spoke on these and other national issues in this interview conducted by TUNDE THOMAS. What is your reaction to the victory of President Muhammadu Buhari over Alhaji Atiku Abubaka in the presidential election? Buhari’s so-called victory was made possible through the collusion of INEC officials and the security agents that were deployed for the polls. The presidential and national assembly elections were marred with a lot of irregularities. To make matters worse, INEC officials and security agents openly worked for Buhari and APC, instead of being neutral. They openly supported Buhari and APC. It was glaring that INEC was acting out a script and that script was to dance to the tune of Buhari and APC. The election was far from being free and fair. Again look at the number of deaths, the number of Nigerians who were sent to their untimely graves just because a clique wants to remain in power at all cost. Buhari has nothing to rejoice about. That election was a setback for our democracy. The president and his party members didn’t allow the will of Nigerians to prevail. Thank God Atiku has gone to court to challenge the outcome of the charade called election. Are you saying that INEC compromised? Obviously. INEC didn’t live up to expectation. It was glaring that INEC compromised and that’s why I described INEC Chairman, Mahmood Yakubu, a big failure. In several parts of Nigeria, especially in the South, millions of voters were disenfranchised especially in areas perceived to be strongholds of opposition parties. To show you how biased INEC was, while INEC insisted on the use of card readers in the South, same rule was not applied in the North and all manners of people were allowed to vote. At the end of the exercise INEC was declaring millions of votes in the North while working against the interests of the South. The situation portrayed INEC as having a hidden agenda. This is why Afenifere spoke out against some of these evils that took place during the presidential and national assembly elections. Imagine how APC supporters and thugs unleashed violence on voters in Oshodi, Okota, Isolo and some areas where they felt the party was not popular among residents. We are against the attacks on Igbo and other non-Igbo who were victims of APC supporters and thugs attack. We are all Nigerians and nobody has any right to impose his own will on others. You can’t force me to belong to your own political party or force your ideology down my throat. It is a free world and there should be freedom of choice. As Lagosians file out on Saturday to cast their votes to pick the next governor of the state, what is your advice to the parties, the electorate, INEC, and security agents? Lagosians don’t have problem with one another. 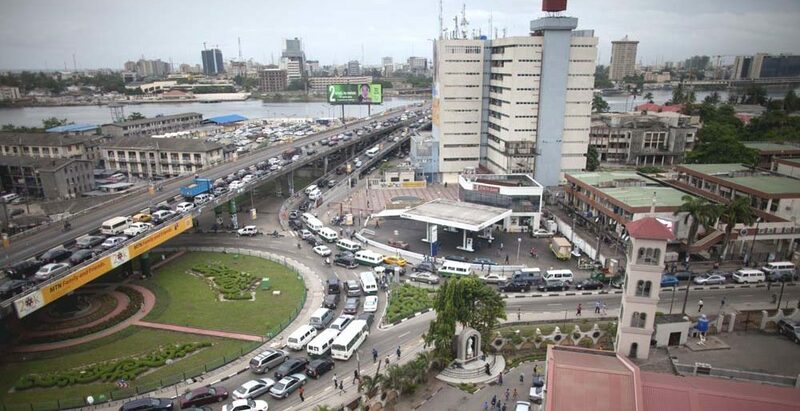 Lagos has always been a melting pot for all Nigerians, and people have been living together in unity, and harmony. We are shocked by the action of APC supporters and thugs during the national assembly and presidential elections. There should not be a repeat of that show of shame during the gubernatorial elections. I advise security agents to be alive to their responsibilities. How can thugs, hoodlums and street urchins be attacking people and security agents would be found wanting? I’m also shocked that when those thugs attacked people penultimate week neither APC national leader, Bola Tinubu and Oba of Lagos, Rilwan Akiolu deemed it fit to speak out against the evil. Even up till now neither of them has condemned those behind the attacks. Even the governor of Lagos state, Akinwumi Ambode failed to speak out and this was why Afenifere spoke out in order to douse tension. Afenifere spoke out to reassure non-Yoruba living in Lagos that the attack on them was not by Yoruba but by some thugs who were working for some political overlords. Yoruba are peace loving, and we will continue to promote and exhibit virtues that will continue to strengthen the bond of unity among Nigerians. Although we were initially shocked that Governor Ambode didn’t speak out but we later understood his own predicament. Ambode is also being persecuted by Tinubu and other APC leaders. But these people should stop playing God. They should not endanger Yoruba interests because of their own selfish interests. Voters in Lagos should not be intimidated. They should be allowed to exercise their fundamental rights in an atmosphere devoid of harassment and intimidation. Now that Buhari has won the election, what advice do you have for him? Buhari has gone beyond advice. Buhari already has a mindset and that’s why advising him is a waste of time. Buhari is opposed to restructuring of Nigeria. He wants the status quo to remain. But the fact still remains, whether Buhari wants to believe it or not there is no alternative to restructuring. Afenifere leaders’ opposition to Buhari is not borne out of hatred but out of our desire to have a country where there is justice and equity. Look at the herdsmen menace, Buhari has failed to curb it simply because the herdsmen are his kith and kin. But the nefarious activities of herdsmen have been leading to loss of lives on daily basis across the country. But for how long will they continue to go on rampage before Buhari will deem it fit to find a solution to their menace? Some Nigerians who have expressed joy over Buhari’s victory have declared that his re-election will enable him to sustain the war against corruption and carry out other reforms that will transform Nigeria, what’s your take on that? 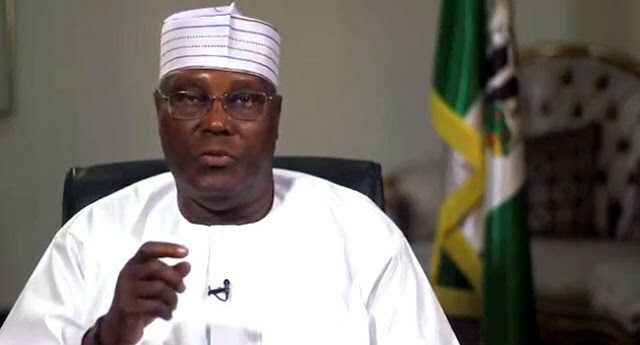 The Peoples Democratic Party (PDP) and its presidential candidate, Alhaji Atiku Abubakar, has asked the Presidential Election Tribunal to compel the Independent National Electoral Commission (INEC) to surrender materials used for the February 23 presidential election for inspection. The request is contained in a motion ex-parte filed yesterday by the opposition party and its candidate dated March 4, 2019. In the suit, Atiku and the PDP have asked the tribunal to grant them leave to inspect the Voters Register, the Smart Card Reader machines, ballot papers and other vital documents used in the conduct of the poll. In addition, they urged the tribunal to compel the INEC to allow their agents scan and make photocopies of vital documents used in the conduct of the election, for the purpose of establishing alleged irregularities. Counsel to the applicants, Chief Chris Uche (SAN) disclosed that the reliefs sought against INEC were for the purpose of filing and maintaining an election petition they intend to lodge against the outcome of the 2019 presidential election. Filed in support of the motion ex-parte is a 12-paragraph affidavit deposed to by one Col. Austin Akobundu (retd), director, Contact and Mobilization of the Atiku Abubakar Presidential Campaign Council. No date has been fixed for hearing of the motion, which has INEC, President Muhammadu Buhari and the All Progressives Congress (APC) as first to third respondents, respectively. According to the result of the disputed presidential polls released by INEC, Atiku and his political platform came second behind President Buhari of APC. Atiku rejected the outcome and vowed to challenge it in court. He calimed the election was fraught with manifest irregularities adding that results collated by agents at various polling units across the federation, was at variance with what was eventually declared by INEC, in favour of President Buhari. Uche who explained to Daily Sun that the procedure is a condition precedent for the filling of an election petition, assured that the main petition would be filed at the tribunal this week. Meanwhile, leaders and supporters of the main opposition party, yesterday, besieged the headquarters of INEC to protest alleged violations of the Electoral Act during elections. The protesting PDP leaders and supporters were led by the party’s National Chairman, Uche Secondus, who accused INEC of conniving with the APC to thwart the will of Nigerians. He said the electoral body, by its actions, was piling up gun powder in the country, noting that it will be disastrous when it explodes. According to the party chairman, INEC’s conduct in the February 23 presidential and National Assembly elections fell short of expectations and cannot stand any scrutiny. In a protest letter addressed to Prof. Mahmood Yakubu, the PDP leader contended that the selective use of the Smart Card Readers during the election was a violation of the electoral guidelines. He claimed that in the run-up to the governorship and state Houses of Assembly elections, this weekend, the opposition has “credible intelligence” that some INEC officials were allegedly working with APC to manipulate the polls in Delta, Akwa Ibom, Sokoto, Rivers, Kwara and Kaduna states. “The APC is deploying military operatives to help some of your (INEC) black legs manipulate Saturday’s elections in some states particularly Kaduna, Delta, Sokoto, Akwa Ibom, Rivers and Kwara but Nigerians in those states have mobilised to defend their votes,” Secondus stated. “The unconstitutional deployment of the armed forces especially soldiers and police for the illegitimate purposes to harassing, intimidating, suppressing of leaders of the PDP and suppression of voters in PDP strongholds across the country which are very well known to you. The use of these same security agents by the government to harass and intimidate Resident Electoral Commissioners (RECs) and certain INEC’s National Commissioners for the sake of forcing them to declare votes for the APC’s candidates throughout the country have been officially or otherwise brought to your knowledge by the affected officers who even threatened to resign from their positions, yet you have decided to keep mute over it in a way portraying outright conspiracy and collusion of yourself and the commission with the APC government perpetrators. “We also want to bring to your knowledge that most of the collation centres in the country were cordoned off by officers and men of the armed forces who chased away accredited agents and or candidates of our party, the PDP, from such centers while the results of the elections from the units were being manipulated, mutilated and altered to suite the dictates and criminal desires of the APC-led government. These results that were tampered with were accepted by you and your commission and announced as results of the elections. INEC National Commissioner (Legal), May Agbamuche-Mbu, who received the protesters on behalf of the INEC chairman, assured that the commission intended to make the March 9 governorship and state Houses of Assembly elections free and fair. If the 2019 Presidential election held in the penultimate Saturday were to be decided by religious leaders, President Muhammadu Buhari, candidate of the ruling All Progressives Congress, APC, would, perhaps, not have stood any chance against his main challenger and candidate of Peoples Democratic Party, Atiku Abubakar. Buhari, who was the beautiful bride of the pulpit in the build up to 2015 election, surprisingly turned out to be the rejected stone during the 2019 electioneering with series of prophecies going against him. Indeed, the prophecies for the presidential election took three different dimensions. There were those who gave it outright to the president just as another group of seers favoured the former Vice President, Atiku Abubakar. Yet, there are those whose predictions came with a caveat. A good number of seers who fall in the latter group predicted Atiku’s victory if the poll was free and fair. With the election results declared, the PDP and it standard bearer have threatened to challenge the outcome of the poll in court, accusing the ruling party of manipulating the exercise. Reverend Fr. Ejike Mbaka, spiritual director, Adoration Ministry, Enugu Nigeria (AMEN), is one of the clerics who hit the bull’s eye with his predictions on Buhari’s victory. The fiery preacher took to the podium to celebrate the President’s re-election last week. Mbaka, despite falling out with the President whom he predicted would defeat former President Goodluck Jonathan in 2015, after his triumph at the poll, still had a favourable prediction for the retired army general. behind the President’s second term bid in what many saw as a volte-face from his earlier position when he was reported to have said Buhari might lose the 2019 presidential poll to Atiku, although he added that there was room for the president to improve on his performance which was the basis for his rejection. “Among all the presidential aspirants, Buhari stands in best position in winning the presidential election,” the cleric had announced amid gleeful enumeration of what he described as his achievements during the first term. “What happens in the Ministry of Agriculture such as massive production of rice is unprecedented in Nigeria’s agricultural history. “In all this, we urge Nigerians to vote President Buhari in order to complete his eight years tenure and after which he will hand over to a younger candidate,” Mbaka had said during the cross-over service. Rev Mbaka was later to firm up his prediction in favour of Buhari when this year, the vice presidential candidate of the PDP, Peter Obi, visited the Adoration Centre during a bazaar but refused to make donation. As the Catholic priest engaged the former governor of Anambra State, he said that Obi and Atiku would fail the presidential election if they continued in the way they were going. Also in his series of predictions for the 2019 elections, popular seer and founder, INRI Evangelical Spiritual Church, Lagos, Primate Babatunde Elijah Ayodele predicated the defeat of the ruling APC by PDP on two major conditions. Speaking at the unveiling of the 2018/2019 and beyond edition of the book of divine messages, “Warnings to the Nations, in July 2018, Ayodele predicted that PDP would only return to power if it fielded Senate President Bukola Saraki as its candidate for the presidential poll. “God wants to use Saraki for something symbolic for four years. So, if PDP is desirous of winning the election they should go for him,” Ayodele had predicted. former Vice President would win the presidential contest amid admonition to his (Atiku) followers to observe a day of fasting and prayer against manipulation of the results by the ruling party. According to him, “God said Buhari has become a disappointment in His sight and He has sought and found a man after His own heart to replace him. “As a result, God said the road to Aso Rock Villa for Atiku is now very clear as his name will continue to ring bell and that many will still root for him. Satguru Maharaji, founder One Love Family, in his own prediction, foretold President Muhammadu Buhari’s victory at the presidential poll. According to him, “elections are for human beings. This is the time to call a spade a spade. Buhari is there. He has another term in the office. I don’t see Atiku, Ezekwesili, Sowore and others as president. I believe, if they will listen to me, they should not think of going to elections. They should support Buhari. Buhari is from the North, he would have spent four years by May, let him complete his second term as the tradition that a man from North will spend eight years and the South will spend eight years. All of them should wait for him to complete his second term. “There are many reasons, unknown to many Nigerians, that will make President Buhari defeat all other candidates jostling to unseat him in Aso Rock in February. “What the other candidates can do is to support Buhari to take Nigeria to the Promised Land. Atiku, Ezekwesili, Sowore and others should support Buhari instead of aiming to face him in the presidential election”, he declared. A South African-based Nigerian cleric, Prophet Samuel Akinbodunse of Freedom for All Nations Outreach, during a live service at his South Africa Church, predicted the emergence of a young president at the end of the election and added that God only made Buhari the president because he wanted Nigerians to learn some lessons. The man who accurately predicted Zuma’s exit and Mugabe’s disgrace from the seat of power, had earlier revealed that President Buhari might die if he attempted to seek a reelection. Also a renowned Islamic cleric in Oyo State, Prof Sabit Olagoke, equally predicted President Buhari’s victory. Olagoke, who is the grand Imam of Shafaudeen in Islam worldwide, revealed that the former Vice President Atiku would be disappointed by his party, PDP, during the election. Olagoke’s prediction was said to have been made after his confinement and fasting as well as prayer for the country. Giving his own predictions on the presidential election, founder of the Christ Deliverance Ministries Inc. (CDM) Lagos, Prophet Ekong Ituen, revealed that President Buhari would be re-elected. “Let me start by telling Nigerians that election result will spring surprises, but in my revelation, it has been established that President Muhammadu Buhari of All Progressives Congress (APC) will win the 2019 presidential election. You may not like him, but that is the truth,” he declared. Reacting to the seeming contradictions in the prophecies and the outcome of the election, a theologian and Pastor-in-charge, Dominion Tabernacle and Prayer Assembly, Ota, Ogun State, Dr Olalekan Akinsola, noted that the turnout of event did not take anything away from the clerics whose predictions failed neither did it confer any special status on those who got it right. According to him, “the ministry of prophecy is a delicate one because those who have the gift are prone to certain ridiculous situations which unknown to the carnally minded, may have divine purposes. Look at the case of Jonah who attempted to evade going on divine prophetic mission to Nineveh because he knew what God was capable of doing. “God only instructed him to inform the people of the city about the impending doom, Jonah didn’t give them any condition for their preservation. But without being told, the people repented from their sinful way and they were spared. Jonah’s message didn’t come with any hope of preservation. That was one of the reasons Jonah felt angry when eventually God visited the people of Nineveh with His mercy. Does it mean God didn’t know that the people would turn a new leaf? No! He knew, He only sent Jonah so as to achieve a major divine result. 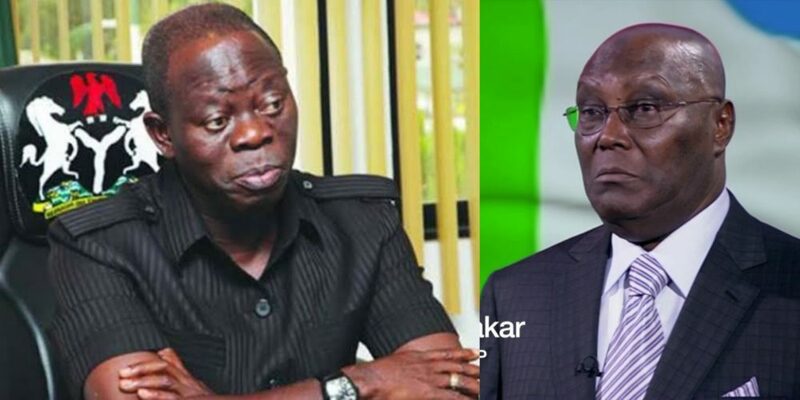 The All Progressives Congress (APC) National Chairman, Adams Oshiomhole, has said that the People’s Democratic Party (PDP) presidential candidate, Atiku Abubakar, is destined never to be the president of Nigeria. He said that his desperation, evidenced by his penchant for jumping from one political party to the other would continue to be his greatest undoing. Speaking during a world media briefing at the party’s headquarters, the former governor of Edo State, said that apart from portraying himself as an unreliable politician and fighting his boss in desperation, the ruling party was ready to meet Atiku in court. He, however, admitted that the recently-concluded presidential and National Assembly elections were not perfect just like it happens in every other election elsewhere in the world. The Spiritual Director Adoration Ministry, Enugu Nigeria (AMEN), Reverend Fr. Ejike Mabaka, is celebrating the re-election of President Muhammadu Buhari, saying that God has confirmed his prophecy. Fr. Mbaka who stated this during his Wednesday midweek prayers, said that God of Adoration Ministry is a big miracle. “Our God is a God that answerth prayers. God has answered us again.